The "omgit'salmostsummer" countdown continues and with it comes another family favorite meal. The best part? Not only do my boys love it, but it's one of the easiest things to throw together ever. Three ingredients go into the bag and you throw a fourth in right before it's finished. Serve this one up with some summer side dishes and if your house is like mine, you have a serious homerun favorite. 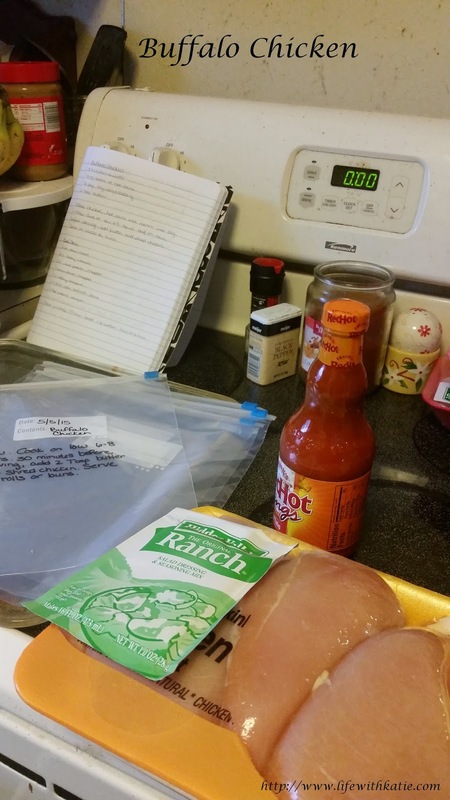 Place chicken, hot sauce and ranch into your gallon sized freezer bag. Squeeze out any excess air, seal and freeze. Cooking instructions: Thaw in refrigerator. 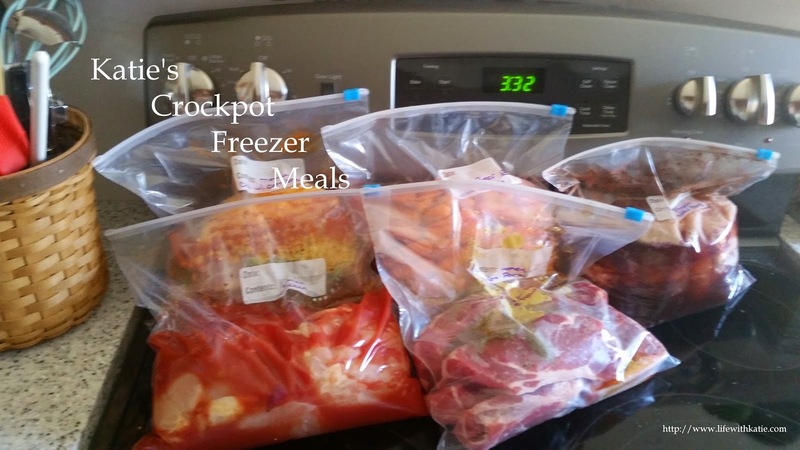 Place in crockpot and cook on low for 6-8 hours. Half an hour before serving, add butter and shred the chicken. Serve on rolls or buns. I like to top mine with a bit of ranch dressing for extra yumminess.